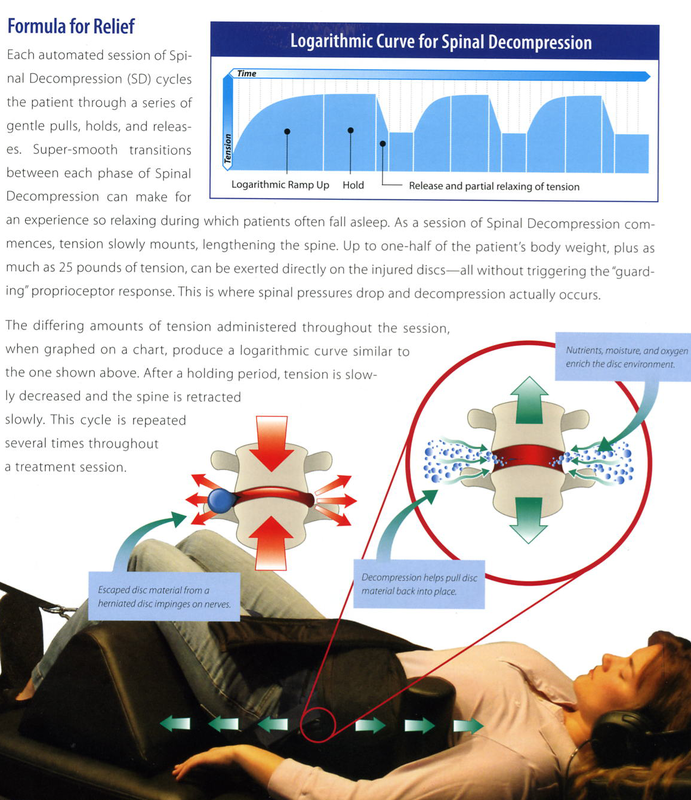 This certificate entitles you to a consultation and a 15 minute Spinal Decompression Treatment (valued at $250.) Must call for appointment and mention this web site offer. 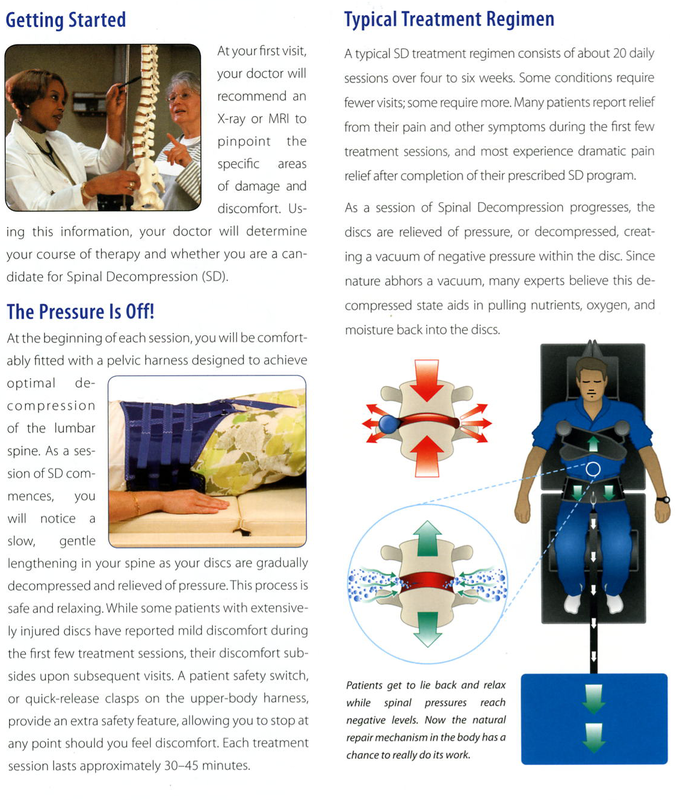 This offer is to help us both determine if you are a good candidate for Spinal Decompression Therapy. 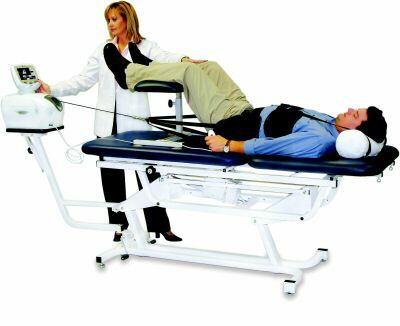 * No Health Insurance Plan will cover Spinal Decompression, It is insurance fraud to bill health insurance for this therapy, therefore, we will not bill insurance. *Please read our Free Report before beginning Treatment to Maximize your results. Traction is a straight pulling that's against a certain poundage and it stretches against the irritated ligaments and tendons. 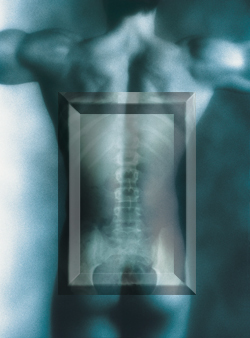 It puts a pulling load against the entire spine. 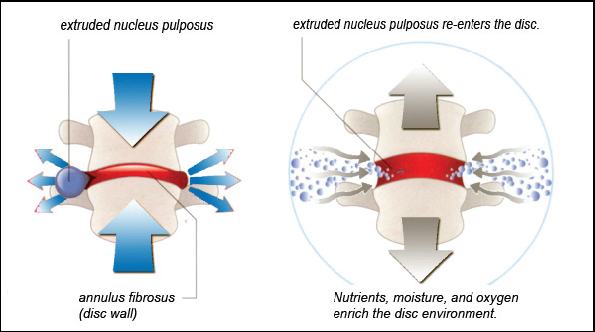 It does not apply a different pulling load to each disc within the spine or only apply the pulling load to a specific target within the spine. 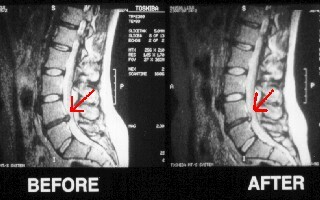 It is also a constant decompression and the partial vacuum created in the spinal column is equalized in only about one minute. The rest of the time is only stretching the muscles, tendons and ligaments, many times to the patient's distress. Patients can often experience pain with this method. This is a slow gentle process, so it allows the muscles and tendons to respond to the treatment. Patients do not go into spasm. 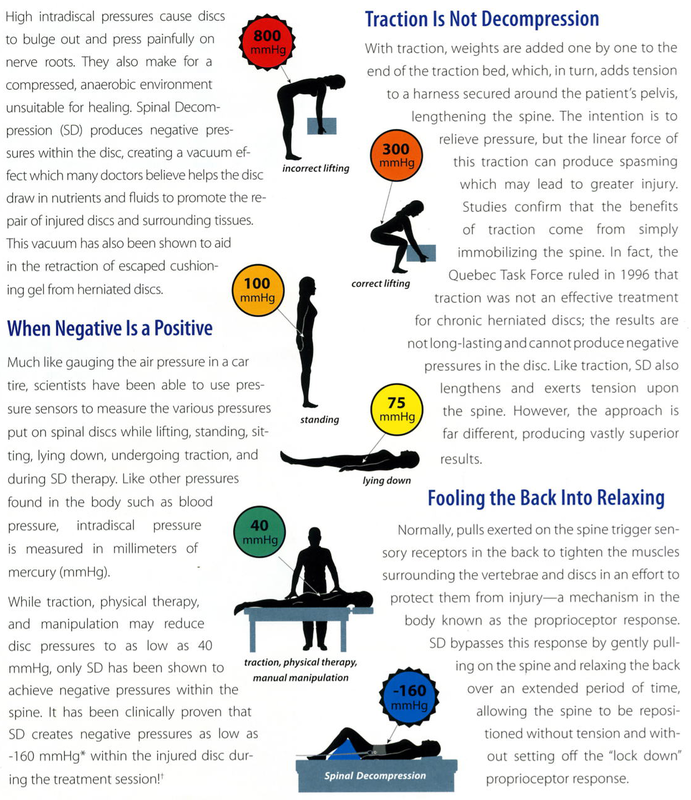 The treatment doesn't' just work the joint, but also works on the muscles and tendons. 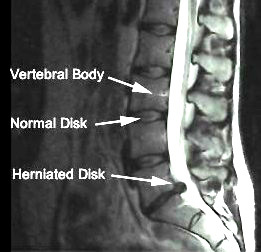 Motorized and computerized spinal decompression allows the ability to target the injured disc, creating better results than traction.